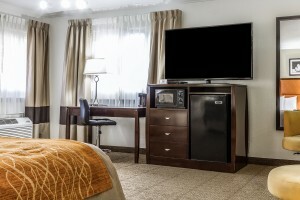 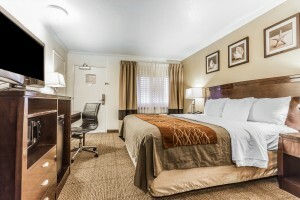 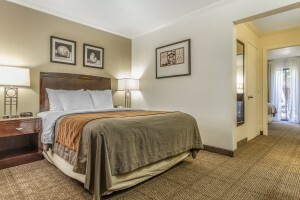 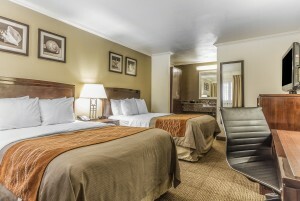 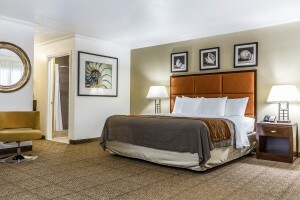 Our 1 King Bed Suite is our larger room that comes with a king bed that can accommodate up to 2 people. 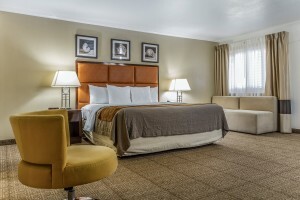 This room features a single sofa chair and 2 seat sofa. 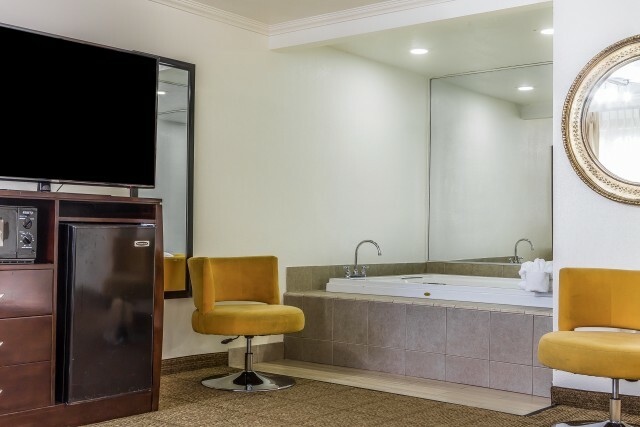 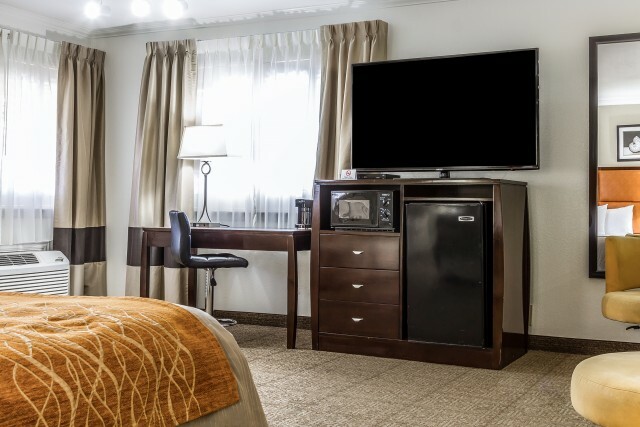 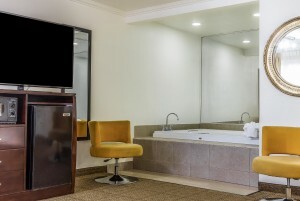 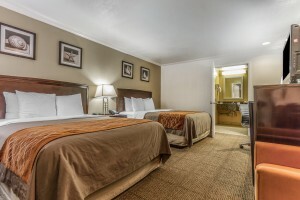 Guest can relax in the in room Hot Tub; in addition, this room provides heating, air conditioning, a flat screen TV, iron/ironing board, microwave, refrigerator, and more.